Los Cadetes are back, stronger than ever, and its most notorious member, dressing in dark green from head to toe, has managed to put the name of the team in a very privileged place. His is yet another character created by Antonio Peña in 1995. 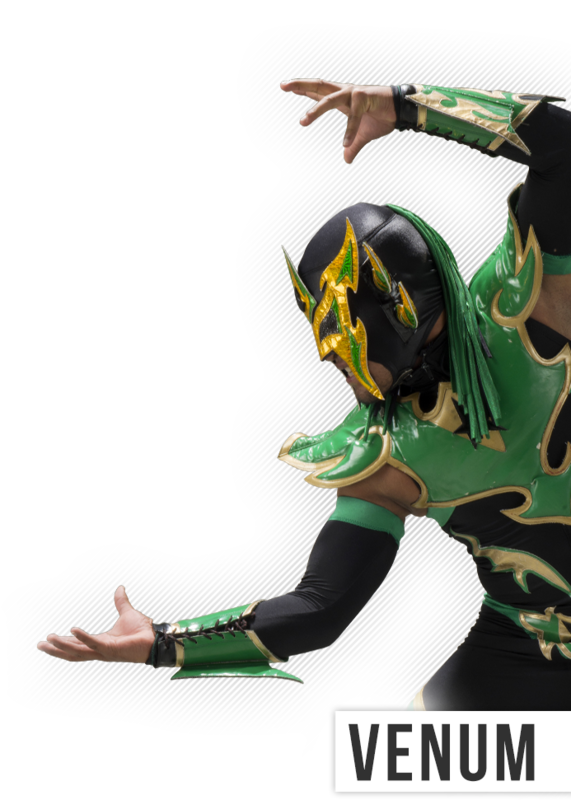 Venum represents courage and showmanship in the realm of modern Mexican Lucha Libre, and his aerial feats have no point of comparison. Now, alongside Ludxor, they have formed a winning team, one with their sights highly aimed at stardom.